Mission: The National Institute of Chemistry is a scientifically excellent, established and breakthrough research institution based in Europe. With its cutting-edge research, NIC is enriching the global treasury of knowledge by solving the most pressing challenges facing society including: health, sustainable energy, climate change, a circular economy and safe food. Its research goals push the boundaries of science and create new values. NIC successfully transfers knowledge to industry and, in the long-term, support the role of science in the development of society. NIC enables its scientific excellence through collaboration with the best global research institutions, groups and individuals and is a member of international multidisciplinary research networks. NIC’s aim is to provide a stimulating environment and open learning space where young researchers can develop their curiosity and realise their research creativity. By doing so, NIC ensures future generations lives benefit from the profession. Vision: The National Institute of Chemistry pushes the boundaries of science through cutting edge research to co-create the industries of the future and empowers the next generation of scientist through education and collaboration. NIC’s aim is to become the best in the world through our devotion to science. 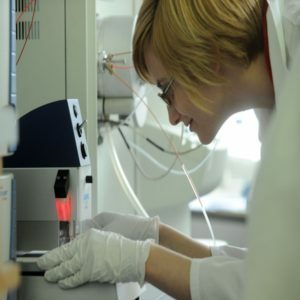 The vision of National Institute for Chemistry organization and activities for 2019-2023 period is based on consolidation of its leading role as a top research institution in Slovenia, the wider region and in the world. Basic guide to its work is bringing scientific excellence to the key areas, measured by established and globally comparable indicators of scientific excellence.